Joseph Wong’s real estate career has spanned an impressive 20+ years in the GTA, and that’s not counting his extensive history in property management and development from his time in Hong Kong. Licensed in 1989 and ascending to the role of Vice-President at his previous Brokerage soon after, Joseph was in charge of the recruitment, development and retention of all the agents in an office that was home for well over 180 real estate professionals. He takes great pride in passing along his 20+ years of knowledge and experiences, preferring a hands-on approach to teaching and training. Through his guidance and tutelage, many of his pupils blossomed from real estate rookies into strong and successful industry leaders. 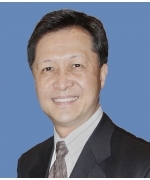 Joseph is now the proud owner and Broker of Record of RE/MAX Excel Realty in Markham, the first ever Chinese-owned RE/MAX that opened in January of 2011. What started as a small office with only a handful of agents has grown to over 60 agents and counting; a feat which ranked RE/MAX Excel as the office with the highest percentage growth amongst all RE/MAX Ontario-Atlantic franchises in 2011. Joseph is also the Director of the Association since September 2010.